A forward-sloping seat assures sitting with a straight back. For short periods only, it is effective without a front support. 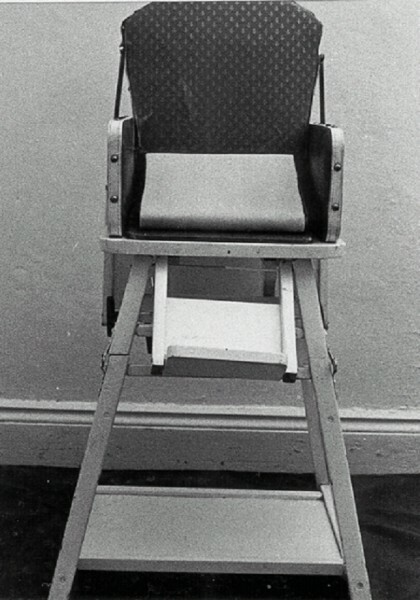 This is shown in a high chair without its table.